Welcome back to our weekly Events Blog for Feb. 7–13. 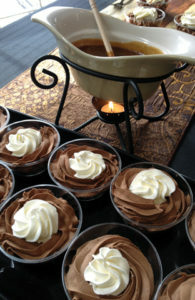 Cooking, clay and chocolate—this week the staff here at County Lines created a quick collection of crowd-pleasers. Keep your datebook close! More events on the Events page on this website: CountyLinesMagazine.com/Events. Grab your sweetheart for a sweet weekend indulging in the world’s best combination: wine and chocolate. Sprawling across the beautiful Eastern Pennsylvania countryside, each stop on the Berks County Wine Trail allows you to sample delicious chocolate and confection paired with featured wines of the region. Discover a diverse spectrum of wines and winemaking from twelve wineries total with pairings like strawberry wine and chocolate covered strawberries. Tickets $10–$15. Visit BerksCountyWineTrail.com for participating wineries. Break out your red bowtie and enjoy a gourmet dinner plus live and silent auctions, all while supporting a great cause. The Philadelphia Heart Ball celebrates those who give their time to build a foundation of health in our community. Saving lives since 1924, the American Heart and American Stroke Association is working to eradicate heart disease and stroke. Enjoy an evening of heart-filled philanthropy. More info at PhiladelphiaHeartBall.Heart.org. Tickets $1,000. Philadelphia Marriott Downtown, 1201 Market St., Phila. 6 to 11 p.m. Gather up your kiddos and embrace your inner artist this Saturday during the Wayne Art Center Family Workshop: Day of Clay. 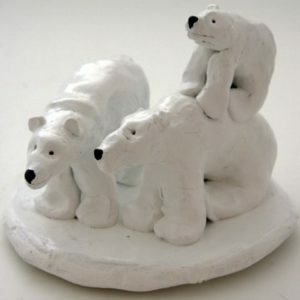 With step-by-step instructions, create an adorable family of polar bears with your little ones using clay and sculpting tools. End the day with more than cute bears—create priceless family memories and maybe get your hands a little dirty. Tickets $35. More info at WayneArt.org. Wayne Art Center, 413 Maplewood Ave., Wayne. 1 to 2:30 p.m.
Here’s some food for thought: attend an informative and social cooking experience featuring an intriguing seasonal ingredient—maple syrup. The Land Conservancy’s mission is to provide meaningful, hands-on interaction with nature through education. Take advantage of this chance to meet new people while learning yummy new recipes. Tickets $25 per person/session. More info at TLCForSCC.org. Bucktoe Creek Preserve, 432 Sharp Rd., Avondale. 11:30 to 1. Tune into the Chamber Series Concert, No Strings Attached. The symphony combines an outstanding variety of classical and jazz pieces featuring winds, percussion and brass instruments. Enjoy the talents of the Delaware County Symphony members as they provide a musical experience sure to please everyone. Tickets $15. Info at DCSMusic.org. Neumann University, Meagher Theatre, One Neumann Dr., Aston. 3 p.m.